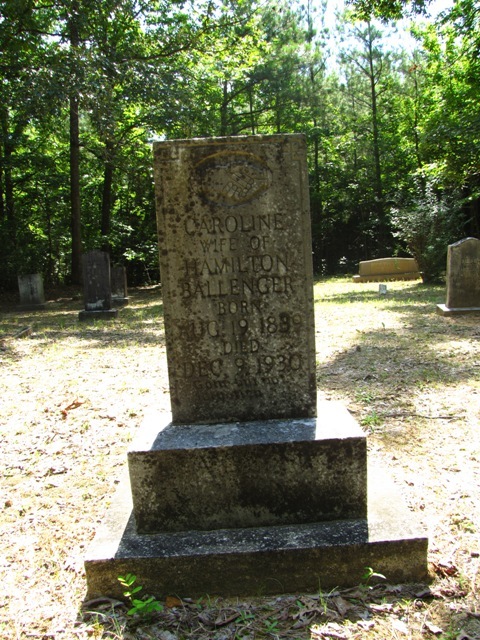 In April 2009, I wrote a blog about my great-grandfather James Franklin Willis’ service to his community as a Baptist preacher. On our recent [July 2010] trip to Fayette County, Alabama, my daughter Kay and I got a little more information. “The Ballenger Family of Fayette County Alabama” was written in 1998 by Conley Linton Ballenger who, along with his whole family, has been a lifelong member of Mt. Lebanon Baptist Church. Page 163-4 of his book lists the pastors beginning in 1895. In addition to what we found at Samford University showing J. F. Willis to have been the Mt. Lebanon pastor from 1888-1892 and 1895-1897, Ballenger’s church history lists the months of his 1895-1897 service as Jan 1895 – Aug 1897. Additionally it lists him as pastor from Dec 1901 to Sept 1905 and Sept 1908 to Sept 1922 – a total service to that church of about 27 years. 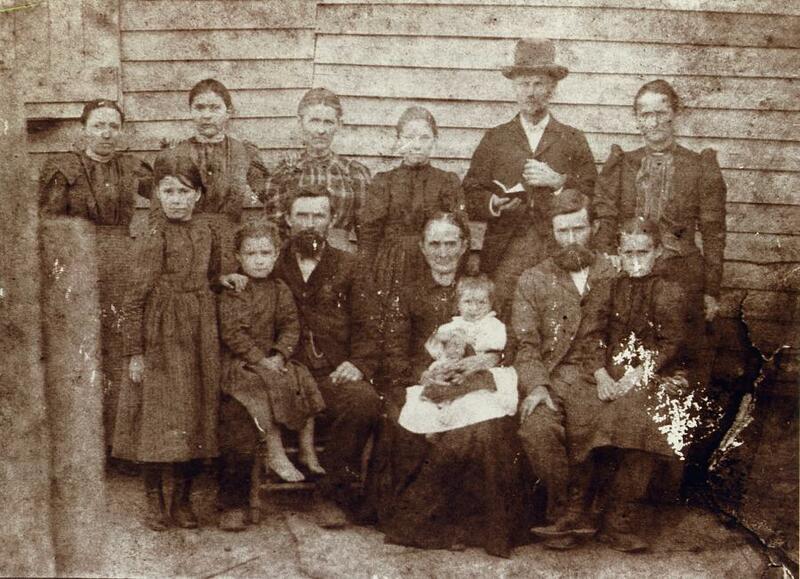 The pastor who replaced him for the next ten years was J.F.’s son’s father-in-law, W. F. Gilpin. We also learned from some journal pages written by J.F.’s granddaughter, Margie Agnes Willis [daughter of John William Willis, and granddaughter of W.F. Gilpin as well) “… Grandpaw Willis. He lived with us most of the time; he was a Baptist preacher, after he got older, he gave up the church we attended and my Grandpaw Gilpin was the pastor of Mt. Lebanon Church and Grandpa [Willis] visited and preached at other churches and helped out in the Baptist Conference that others met together for special meeting. I remember how my two younger brothers Delma & Albert and me would run out to meet him. He was traveling in a one-horse buggy; he would stop and we would hang on. There was only one seat, as he drove the horse up to the barn Delma & Albert would, as he would say, take care of the horse for me. 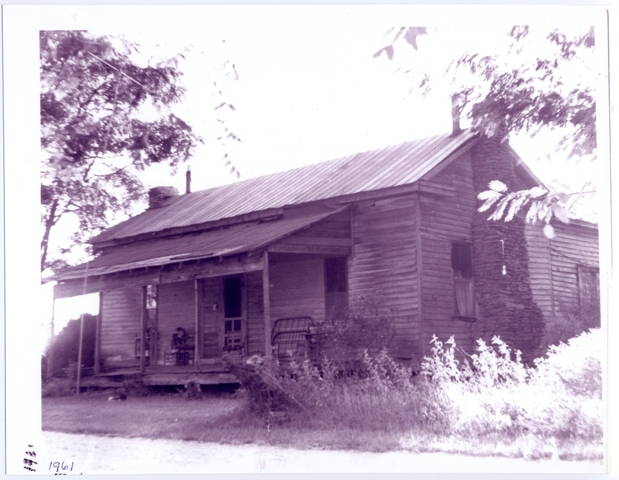 So I would walk the path from the barn to the front door and carry his little bag that had his Bible and other books and lots of paper with writing.And soon he would go away for a while.” While in Fayette County, we scanned a picture of the house where J.F. 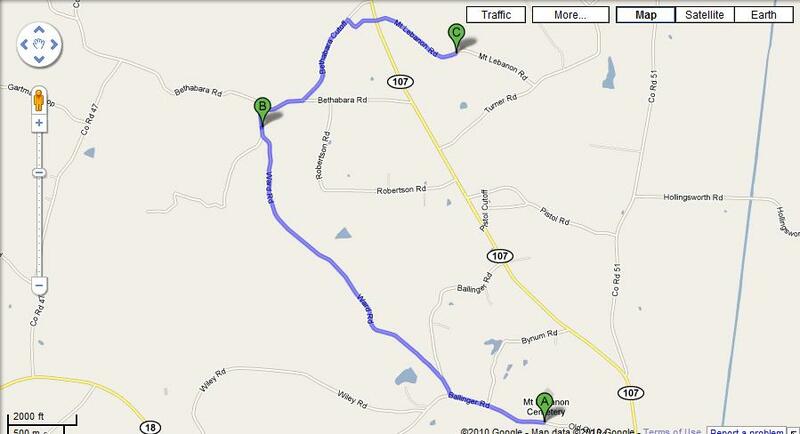 lived with John William, and Margie; the house was located on the west side of Ballenger Road not far after you turn north from Old Gin Road. During our visit to the Old Mt. 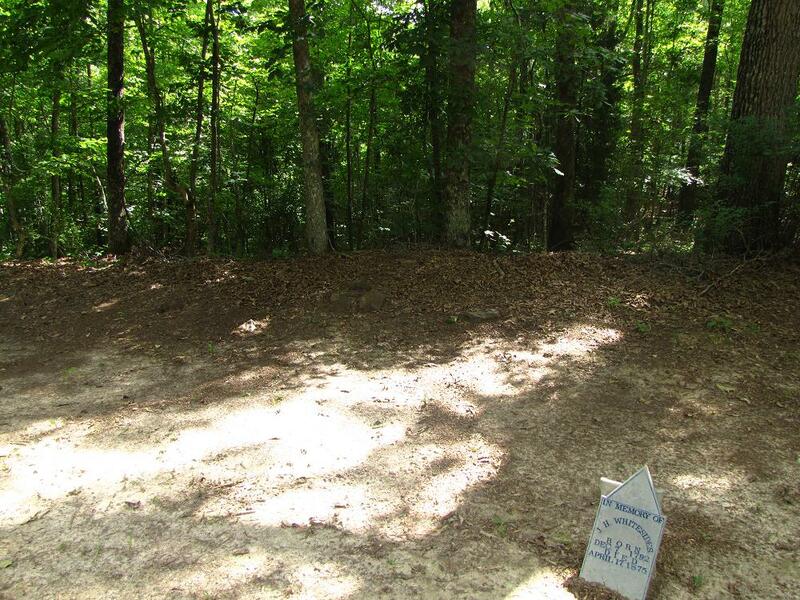 Lebanon Baptist Church Cemetery, I took a photo of the location of the original church, which was organized in 1842. 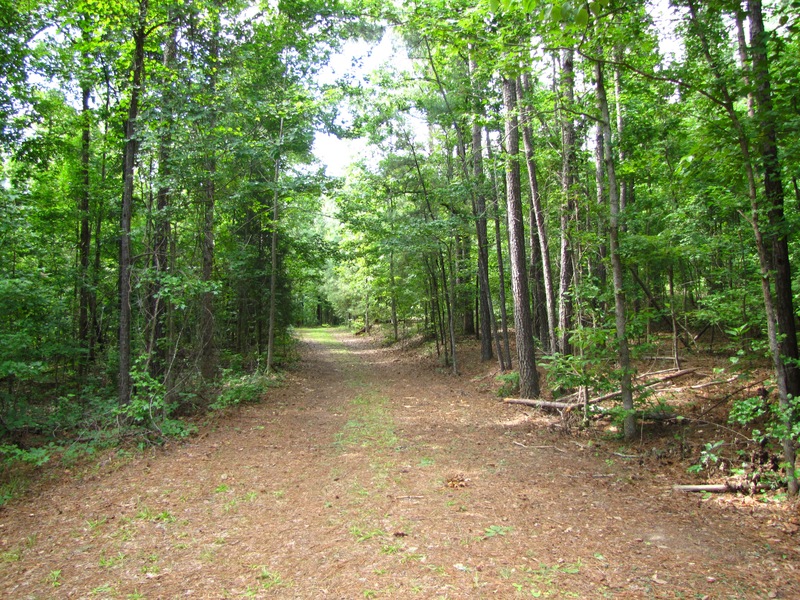 There is nothing still remaining at the location other than the cemetery.The photo below was taken from the edge of the cemetery looking back toward Old Gin Road; the original church was on the left hand side and the road, which now dead ends at the edge of the cemetery, originally was a road that ran from Gin Road, by the church, and then continued on to the next country road. The Mount Lebanon church remained on Old Gin Road from 1842 until about 1900 and the congregation has moved twice since that original location. Charles and Mammie Burns told us they first moved for a brief time to what is now 1807 Ward Road before moving to its current destination at about 1000 Mt. Lebanon Road. I put those locations on a map and made a .jpg for a visual representation. 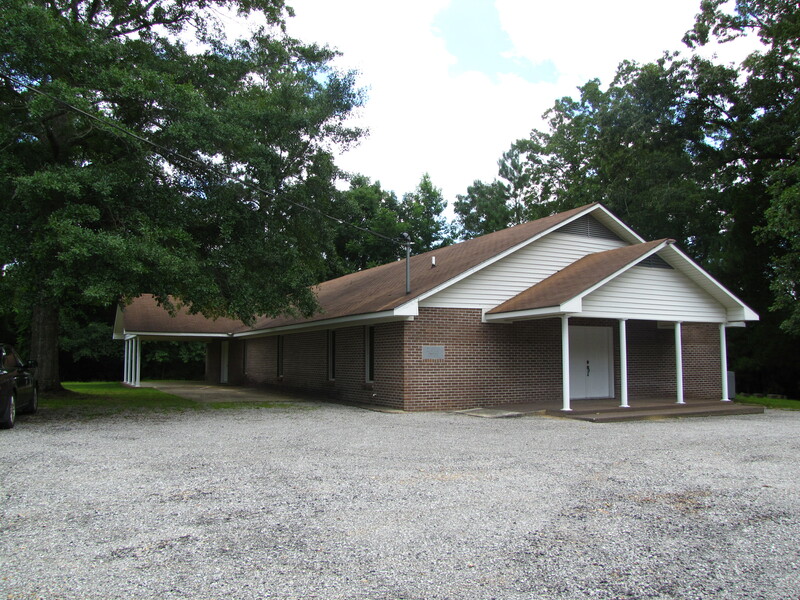 According to the Ballenger family book, the congregation erected a church building at the third location in 1944, presumably replacing whatever had been there since 1900; the current building was erected in 1988. J.F. 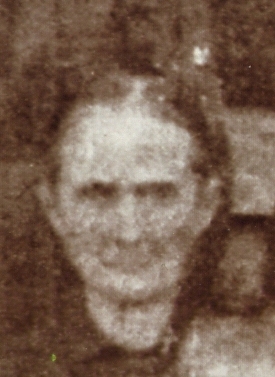 would have served the congregation as pastor at the first and last of their locations; Silas M. Waldrop was listed in the Ballenger book as pastor during the time of both moves. In a post on my grandfather, Zedic Hamilton Willis, I mentioned he enjoyed Sacred Harp singing throughout his life. That activity (also mentioned in Margie Agnes’ journal) continues to the present day. I found a video online of the annual Sacred Harp singing held on the fourth Sunday in June – this video was from June 28, 2009.